Alyce is in school and gets to partake in the annual ritual that all kids get to enjoy, school pictures. When preschool started we weren't sure Alyce was going to have class pictures. We had seen announcements of school pictures on the school's sign but we weren't sure it applied to the preschoolers. 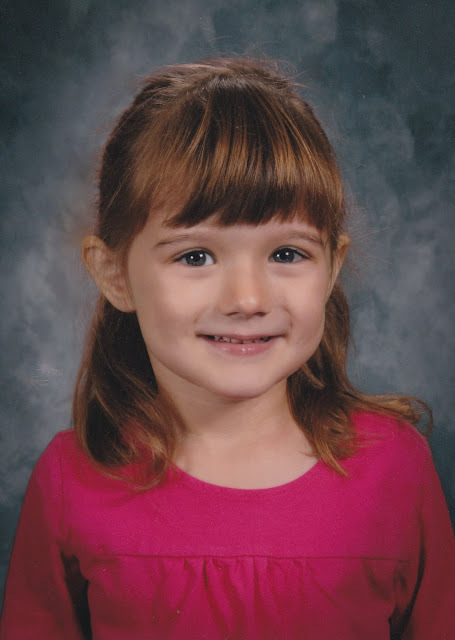 It turned out that we had to wait for picture retake day as the original picture day was on her preschool off day. Mom and I thought the picture turned out great. The picture just seemed to capture Alyce. Her eye's weren't squinty, wasn't showing too much teeth, and looked genuinely happy to be there. 0 comments on "School Pictures"